C3G has finally hit the 10 year mark, and we've got a whole year's worth of excitement coming your way! We've returned to our classic "23 units on April 23rd" structure to give you the biggest, baddest C3G wave in a long time: the first shot of a whole year of exciting new content. This weekend, Marvel is celebrating over a decade of feature films with a cosmic battle to end all battles, and we thought it was well past time we did the same. 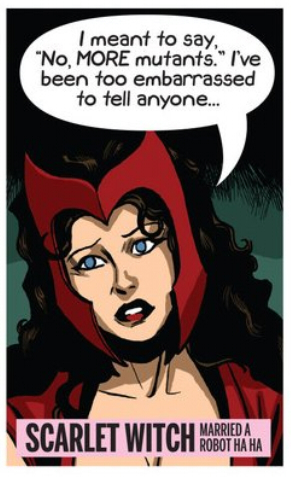 So gather your friends (and maybe some Infinity Gems?) and get ready! The time has finally come for Thanos to wield the Infinity Gauntlet, and all life in the universe now trembles. Unfortunately for him, he's made no shortage of enemies - his daughter Gamora is first in line, and the title Deadliest Woman in the Galaxy is well deserved! If she fails, though, sister Nebula will be happy to show her how it's done. Or maybe Starfox, brother of Thanos, can use his powers of euphoria to win the day? Black Bolt leads the secretive Inhuman Royal Family out of the darkness, wielding a voice that can shake worlds. But while he leads in silence, Medusa—prehensile-haired queen—and Crystal, her elementally-powered sister, are happy to show that actions speak louder than words. The tactical wisdom of Karnak and the loyalty of their chief guard Gorgon turns them into a fierce tactical team... and of course, Lockjaw is always happy to come along for the ride! When the galaxy is in danger, you better bring out the big guns - even if the hands that wield them aren't quite so big. Rocket Raccoon is always eager to prove he's in charge, and has the arsenal to back him up. Can he compare to the raw cosmic might of Adam Warlock, Master of the Soul Gem? But there's strength in numbers, as long as you have people like Mantis to keep the team together, Groot to tag along, and Drax to, well... destroy. It's a space pirate's life for me! Suit up and join Corsair, father of the X-Men's Cyclops and leader of the fearless Starjammers! Hepzibah is the "claws first, ask questions later" type, while Raza Longknife is laser-precise with gun or blade. But it's their pilot Ch'od who brings it all together: the big, green, scaly head of the Drop Team. In the midst of this cosmic chaos, Earth needs its defenders more than ever. And Captain Marvel is certain to lead them there higher, further, and faster than ever before. Iron Man is more on the tactical side of things, finally stepping up to a leadership role in the Avengers (but still happy to fly in half-cocked if needed). On the ground you've got Jack Flag, ally to Avenger and Guardian alike, and Abigail Brand, first line of defense at SWORD. Thanks again to all of our fans, supporters, and members who work so hard to make C3G a reality. We've got monthly releases planned for the entirety of 2019 (and maybe even more? ), with new units, new universes, and new ways to fight to the end. Here's to 10 more years of Comic Custom Creations! The follies of April are upon us! 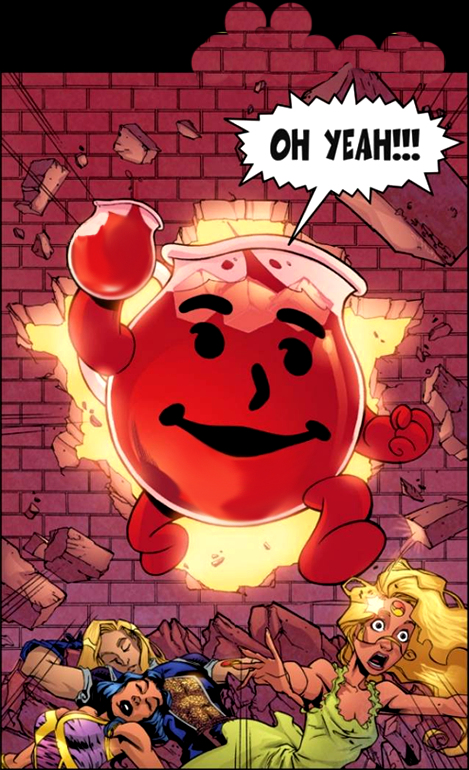 Kool-Aid Man paves the way, bursting through the nearest wall and onto your battlefield! Axe Cop is here to chop your head off, but only if Stan Lee makes a Marvel Zombie of you! The Tick might also knock your head off, but it'd be a clumsy mistake; he's a do-gooder through and through. And speaking of do-gooders, Batman is here in swingin' 60s style, with a gadget for every occasion. He might even be able to ward off the fearsome Grizzly Shark, that bloodthirsty predator of the seas lands. Teddy-Bear represents the cuddlier side of the animal kingdom, but he's got the firepower to be feared. Doorman is handy with a portal, and.... well, he's handy with a portal, anyway. Orko floats onto the battlefield, bringing his magical misfortunes to the game. And last but certainly not least, Wreck-Gar dares to be stupid. Liu Kang steps up as the Champion of Earthrealm, dishing out rapid attacks fueled with Shaolin Fire. Be careful, he's got a bit of a bite! The fire doesn't stop there however, as the hell spectre Scorpion is on a burning quest from hell, seeking vengeance for his family and clan! Things getting too hot for you? Sub-Zero is as chilling as they come. He'll send shivers down your spine. The Princess Assassin Kitana brings both beauty and grace, but be careful, she'll slice you to pieces if you get too close! The God of Thunder Raiden observes from the sky. If his allies have fallen, and Earthrealm is in danger, through divine intervention he'll make his presence felt. Not all threats are easily seen to the naked eye. Reptile lurks, popping out to burn his prey with deadly acid. Prince Goro, through raw strength and brutality, will pummel and stomp you until his victims are a bloody mess. Lastly, the Sorcerer Shang Tsung will steal your appearance, abilities, and your soul! It's Christmastime again, which can only mean one thing... the streets of New York are swarming with ninja! Master Splinter has arrived to help his sons fight the horde, but they'll still face an uphill battle. The Foot Clan Ninja strike from the shadows, and they seem to be in endless supply. They're lead by the Shredder, an unstoppable warrior who brings out the aggressive side of friend and foe alike. Rounding out the Foot's forces is Shredder's lieutenant, Karai. Much like the Shredder himself, she's equal parts offensive threat and ninja leader. 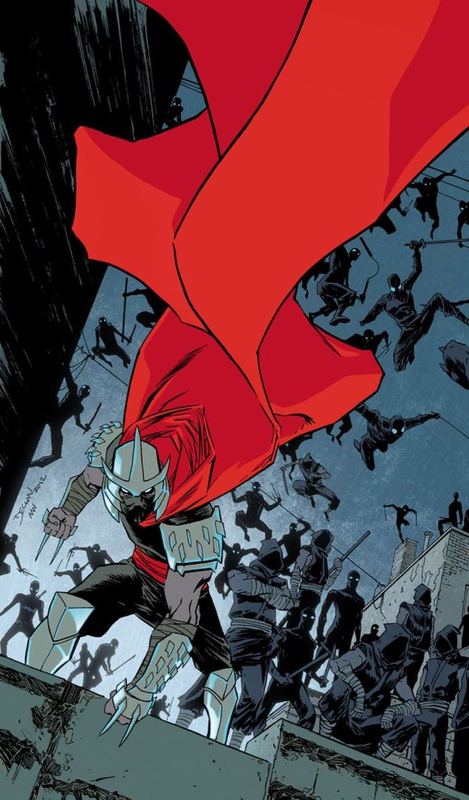 Meanwhile, the Guardian Devil defends the streets of Hell's Kitchen! Daredevil makes a triumphant return to C3G! Ol' Hornhead still isn't afraid to get down and dirty in the fight against the Hand, but he's more team-up friendly than ever before. And he's accompanied by the one and only Jessica Jones, whose "confrontational" investigation style makes her an asset to any street-level super-team. And she'll certainly need a team to take on the Hand: their ranks have been bolstered by the bizarre abilities of the Hand Mystics. 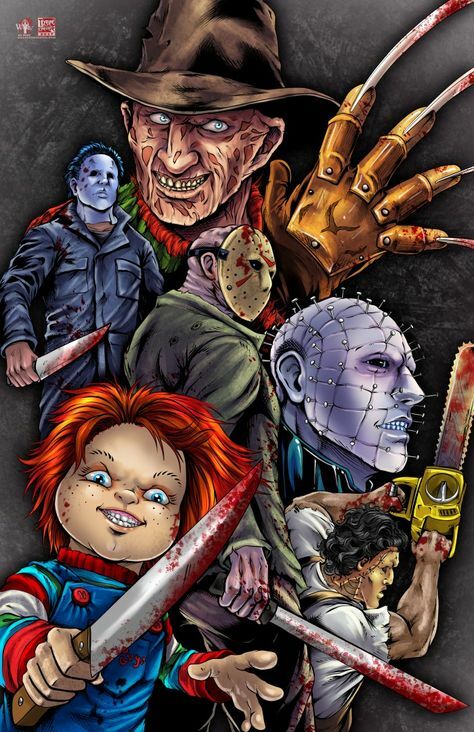 October 27th, 2018 - They join Jason to unleash Hell to all who cross their path. Celebrate summer with a quartet of X-Traordinary X-Force veterans from C3G! Domino's luck is downright uncanny, and she weaves in and out of battle like no-one else. Warpath, however, prefers the direct approach; he's battle-ready and eager to charge into the fray. Nightcrawler is also surprisingly ruthless... he might not be quite the Kurt you know. Last but not least is the bouncing brawler of Alpha Flight fame, Puck! All four of these fearsome fighters are sure to inject some dynamism into your games! C3G is turning nine! And to celebrate, we're releasing our annual wave, this time shining a light on the next generation. Kids striking out on their own, taking the future into their hands – it's, well, marvelous. Whether they're carrying on the legacy of those that came before or charting a new course forward, these young marvels are sure to bring about change. Maybe in Los Angeles, maybe in New York, maybe in Latveria... maybe even on your tabletop! When your parents turn out to be a cabal of supervillains, there's only one thing you can do – run away. Their de facto leader and part-time witch Nico Minoru sets the stage, wielding the mysterious Staff of One. Karolina Dean, daughter of invading aliens, and Chase Stein, son of mad scientists, work to keep their teammates alive. Gert Yorkes may be powerless, but don't make fun – unless you want to meet Old Lace and face her dino might! If the Avengers were ever to fall, worry not – there's always someone ready to carry the torch. Patriot doesn't have the tactical know-how of his predecessor, but his fellow Rookies still appreciate his leadership. Stature, daughter of Ant-Man, inherited the power to shrink and grow. Hawkeye didn't inherit anything but a name – she's Not Your Sidekick, and those skills are home-grown. Speed fills the Quicksilver role, even if he's not eager to join, and Vision is, well, the Vision – but with a new brain and a new set of teammates to support. What's in a name? Well, that depends on the name. Kristoff von Doom isn't as skilled as his father, but will happily follow his lead. Scorpion just took the title – using her stings on the side of the angels (or at least, of the agents). While going without a codename, Noh-Varr struggles to follow Mar-Vell's footsteps (pretty quick with White Running! ), just as White Tiger, laboring under the temptations of her amulets, knows the weight of legacy. No one knows the struggle more than the Scarlet Spiders – clones or not, those tactics are 100% original! Closing in on the big one-oh, C3G is proud as ever to offer a new slate of designs for the Heroscape community. Without the hard work of our playtesters, artists, designers, and reviewers, we never could put all of this together into one awesome package – and we couldn't be more thankful for all of them! For C3G's stunning eighth anniversary, we've decided it's the ladies' time to shine! From the lost paradise of the Amazons, to the gritty streets of Gotham, to the prisons and madhouses of the DC universe, these wonderful women have left an indelible mark on the comic book universe. 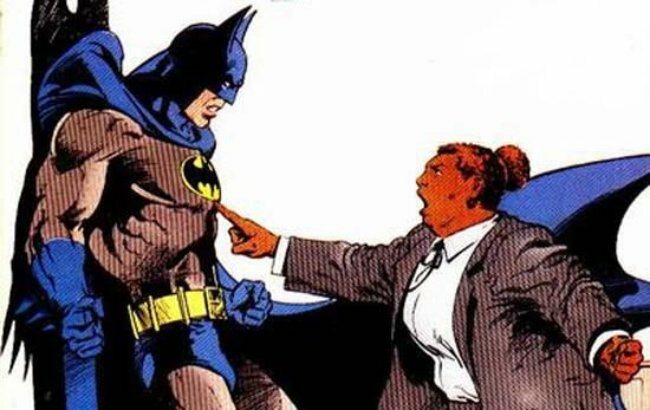 The premiere team of the DC Universe has always had its fair share of female fighters. The most prominent, of course, is Wonder Woman, famed for her mercy as well as her fury. Mary Marvel - Captain Marvel to you! - shares the power of SHAZAM! with her brother, while Katana shares her Soultaker with anyone who crosses her. Maxima isn't one for sharing... keep away from her Mate! Friend? Foe? Catwoman can be either... depending on where the Bat is, of course. Batwoman is far less flighty, with expert training and a Bulletproof Suit to match. The original Batgirl, Barbara Gordon, has something to prove, while her successor, Stephanie Brown, dons the Batgirl mantle with an arsenal all her own. Cassandra Cain, now known as Black Bat, is happy enough with her Fists of Fury. These Gotham types always bring along some toys... but it looks like Ivy has Animated Vines backing her up! Catwoman carries her Bolas and Caltrops and Batwoman is ready to toss a Flash Bang Grenade. Of course, any well-prepped cave-dweller would be happy to have these weapons in their collection! As the years pile up, C3G is thankful to our designers, playtesters, artists, fans, and more. Despite our years, we're still going strong, and I'd like to thank our newest members, whose continued passion and hard work allows our project to move ever forward! TURTLE POWER! The wait is over - TMNT has come to C3G! Bring the world famous fighting team to your battlefield under the command of Leonardo, leader of ninja, leader of turtles, master of the katana. Party dude Michaelangelo springs into action with a COWABUNGA!, while cool-but-crude Raphael springs into action whenever he wants. Donatello, of course, does machines - and always bring along his Anti-Grav Gauntlet to crush the competition. These heroes in a half-shell are ready to take on the superhero universe... get ready for a mean, green Christmas and a radical New Year's! The new season of the Flash premieres tonight - let's give him the welcome he deserves! Tonight, we have two legacy Rogues and one completely new face. Owen Mercer, son of the original Captain Boomerang, combines throwing skills with super speed. Axel Walker, the heir to the Trickster name, has a brand new bag of tricks. And Girder is an unbeatable bruiser... as long as you keep him away from the water! Did you think we forgot about September? Yeah, yeah, we've been here before. But after all these years, we've still got fresh Mutants to add to the fray! Polaris, daughter of Magneto, mistress of magnetism! Havok, brother of Cyclops, leader of X-Factor! Shadowcat, in her 80s outfit, bringing the hurt! Sunfire, hero of Japan, raining down flames! And Quentin Quire... jeez, who invited him? Sometimes, it's the bad guys that make the best good guys. With Waller calling the shots, you can now bring in Task Force X, a.k.a the Suicide Squad. Be it Criminal, Outlaw, Rogue, or Thief - assemble your own squad to take down the next target! The biggest fighting franchise of all time comes to C3G! HADOKEN!! Eight of the most iconic video game characters of all time arrive on the scene. With their special attacks, they can tear through the competition. Pit them head-to-head against each other to see which fighter will reign supreme, or utilize the unique strengths of each to pump up your armies. Let the fists, feet, and chi fly! 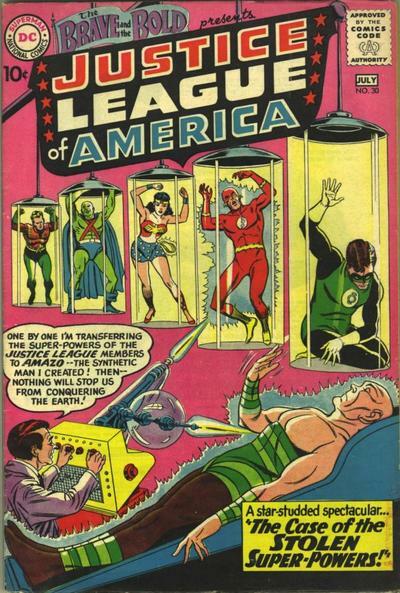 To celebrate, here's Amazo, the automaton born 56 years ago this month! 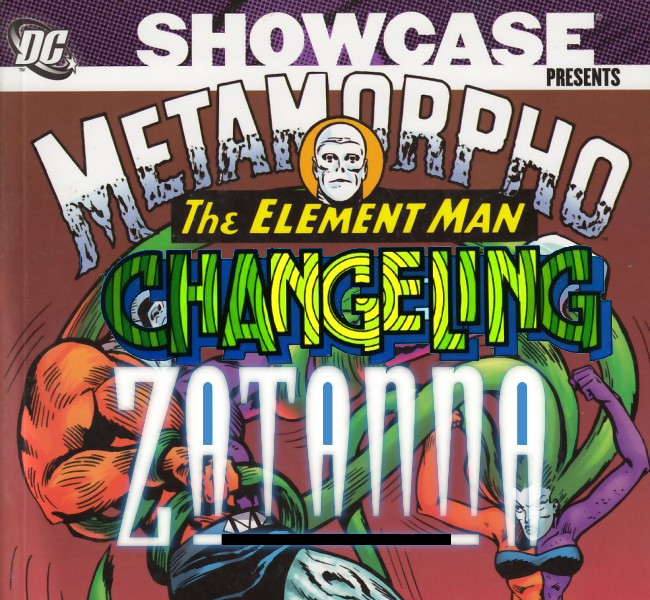 The might of Martian Manhunter, the will of Wonder Woman, the feats of the Flash, the guts of Green Lantern, the ability of Aquaman, and more, all in one peculiar package. You demanded him, now here he is! ROVER is ready to destroy! He is the machete wielding, skull crushing, head decapitating, limb severing, sleeping bag swinging, Manhattan taking monster. He is the man behind the mask, and his name is Jason. Today is his birthday.. In case you missed it, make sure to check out April's release - C3G Wave 25: The Justice Society, stay tuned to the front page, as you'll be seeing details on our plans for the year very soon. The founding members of the Justice Society unite! 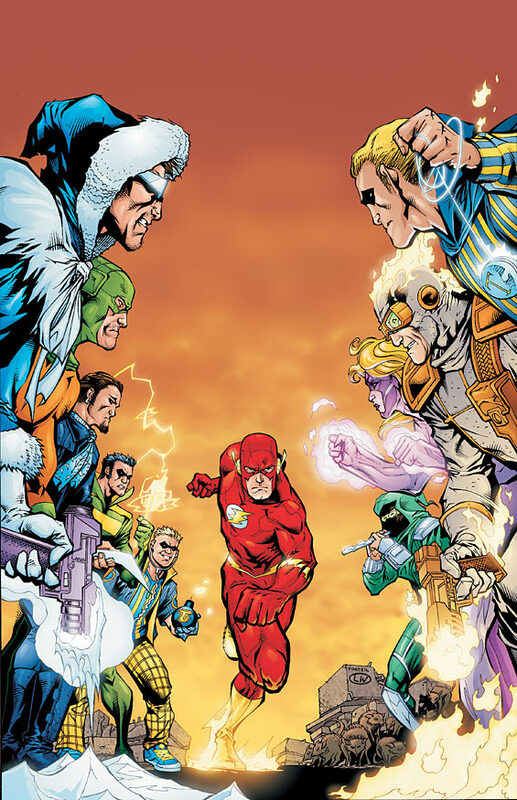 Jay Garrick, the original Flash, inspires his fellow heroes, while Alan Scott, the original Green Lantern, charges into battle with his unique power ring. Hawkman, as team chairman, turns the Society into a well-oiled machine, with heroes like the Atom provide their own support. Look! Up in the sky! It's Superman - in all his Golden Age glory! But his allies are more about brains than brawn. Doctor Mid-Nite brings his Blackout Bombs, Sandman comes equipped with Sleeping Gas (and the Gas Mask to stop it), and Starman has a whole Cache of weaponry. And some heroes even lack that! Mister Terrific relies only on his wits, and fists, to fight evil. Today, you're more likely to find Power Girl leading the Society, with the Kryptonian might to back it up. The next generation of heroes join her; Jack Knight, as the reluctant new Starman, Miraclo-powered Hourman, and his wife Liberty Belle (along with her younger, faster incarnation, Jesse Quick). Some, like Stargirl, forge identities all their own - but are always happy to lend the team a hand. And be sure to check out the bag of tricks the team brings along - four new Glyphs! Use them with the appropriate figures, or just toss them on the board as tools (or traps!) for your heroes to stumble upon. As usual, we'd like to thank the C3G community - its designers, playtesters, artists, and fans. Without their hard work, from top to bottom, this - our monumental 25th Wave! - would never have been possible. ROVER!! Keep your eyes peeled (and your subscription to the C3G Promotions thread set!) for his thread over the next few weeks. As with all of our public designs, we encourage everyone to contribute ideas and playtests to his design. And be sure to give us your feedback; if there's enough demand, there could be more tournaments in the future...! For my money, the world - or at least the US - is revolving around three things right now. Firstly, election candidates. Secondly, superheroes going head-to-head. 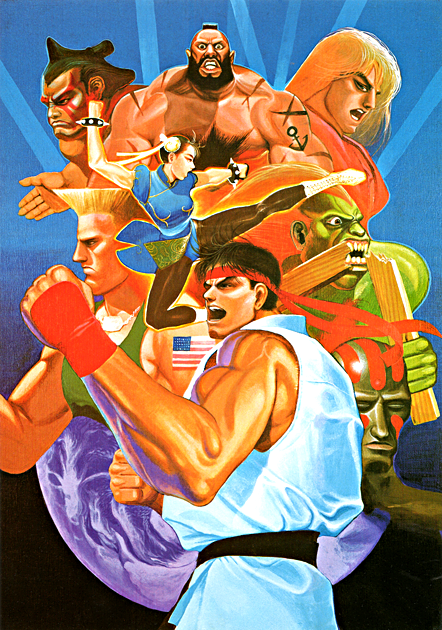 Thirdly, single elimination tournaments. So, with that all in mind, let me introduce to you the first C3G March Madness tournament! Make your pitch for your favorite hero or villain in the C3G Promotions Thread, and find more information about how to cast your vote! Hopefully this will be going up on the front page over the next day or two. The first poll should be up shortly! Everyone should check out the C3G Lottery. A monthly prize could be yours! Thank you to everyone who has put in the time and effort to make C3G possible, and another successful year. Wishing everyone a Merry Christmas, and a Happy New Year from everyone at C3G! I’m excited to drop another big announcement today! The C3G Heroes and Sidekicks have developed the idea for a new sanctum that anyone can be a part of! It’s just not always easy to stay there. We call this new initiative, designed as part reward, part challenge: The Danger Room! Entering The Danger Room is easy. Any Ally or even just public fan of C3G can obtain access to The Danger Room by formally requesting it and then deducting 1 Rewards Point; if you've never done playtesting for us before, this will put your point total at -1, but that'll be easy to recuperate when you're in the Danger Room! 2. There’s a “Conference Room” where anyone can post design ideas to workshop with Heroes and Sidekicks. 3. It’s a place where design threads can be purchased (see TB’s recent announcement on purchasing design threads) and run with less public noise if that’s your preference. 4. But most of all, it’s a special place to playtest C3G Designs! How does Playtesting work in The Danger Room? In The Danger Room, designs will be posted in the War Room thread in a series of “rounds.” A testing round could be as small as a single design, or it could be much larger (this will likely vary depending on participation). Every time a round starts, all public occupants of The Danger Room should subtract 1 Rewards Point automatically. Then, any time any public occupant of The Danger Room completes a C3G Playtesting Sheet for any design posted in The Danger Room and submits it, that tester will get 3 Rewards Points. So, theoretically, this can be a way to compile points a little bit faster, while getting more sneak peeks than ever, but only if you’re up for the challenge! Where’s the “Danger” come in? In two places. First, every time that new testing round starts, you deduct a point whether you’re eager and ready to test or not. Consider it motivation. (Not to mention a cheap price for a sneak peek at a design). If you’re worried about passively losing a bunch of rewards points when you’re not really ready to test, you can ask to have your access to The Danger Room revoked any time, and you won’t lose those points anymore (but you will have to pay the small 1 rewards point fee when you want to reenter). Then there’s also the “Trap Door.” This is where the real “danger” comes in. On the first of each month, there will be a review of playtesting activity in The Danger Room War Room, as well as the public playtesting thread. Any public participant with access to The Danger Room who did not submit any C3G Playtest Sheets in the prior month will fall out of The Danger Room through the Trap Door (meaning their access will be removed and they’ll have to earn/buy their way back in). There is, however, one way to get immunity. If you’re leading a design thread you purchased in The Danger Room, you can stay in The Danger Room during the life of that thread, even without testing (unless a formal vote of the Heroes decides otherwise). I hope you all take this for what it’s intended to be: a fun, thematic, motivating challenge! Please give us feedback, let us know what’s working for you and what isn’t, and I’m sure that we’ll do what we’ve always done – stay flexible and stay fun. Announcing a new reward for the C3G Shop! Do you have a design that you've been waiting to LD for a while now? Have you struggled to win the Public Design vote? Wait no longer! Now, for 50 points, our most devoted Allies can skip past the public vote process and purchase a one-time design thread! These designs will be run the same as those won by the public vote, but will pass right over the usual public voting process. It's our best reward, yet, True Believers! Design threads are still subject to Hero approval and a rough design idea must be submitted to the Heroes after purchase, with a 96 hour period for Hero approval or veto. However, if a design is vetoed by the Heroes, the purchasing Ally may submit another design or have his/her points refunded. Design threads cannot be purchased by an Ally that would be leading concurrent designs with any other designs in process, and will not be eligible for any other design opportunities during the design process. Go Beyond the bounds of civilization! Animal Man channels the beasts around him, while Weapon X unleashes the beast within! Wolfsbane and Wild Child expand the Mutant faction with feral ferocity! The Jackal finally shows his claws! Go Beyond your wildest dreams! Ka-Zar and Zabu are always on the prowl in the long lost Savage Lands! Or perhaps join Solomon Kane as he hunts for nightmares... which Judge Fear and Judge Mortis will be happy to provide! Go Beyond the bonds of Earth! Will you end up in the clutches of tyrants like Mojo? Perhaps stalked by alien creatures - like the Shi'ar exile Deathbird or a legendary Alien Drone? Or maybe you'll luck out and hitch a ride with Bug, a Guardian of the Galaxy, or the Starjammer Korvus Rook'shir! As usual, we'd like to thank the C3G community - its designers, playtesters, artists, and fans. In addition, VERY special thanks to our ever-vigilant Sidekicks, who made this wave possible - every design you see is thanks to them! Check out Kolakoski's thread on analyzing the usefulness and role of certain key C3G design in the thread "What's in an Order Marker?". The C3G Heroes have officially decided to temporarily suspend the use of the units currently being considered for the Reevaluation Process in relation to designing and playtesting new designs, up until the units have passed the Reevaluation Process. What this means is that designers do not need to consider potential power breaks that could occur between a new design and one of the Reevaluation units during the design process, and that the Reevaluation units should not be used in any official C3G playtesting except for in Reevaluation Playtests for that unit, unless specifically requested by a Hero. 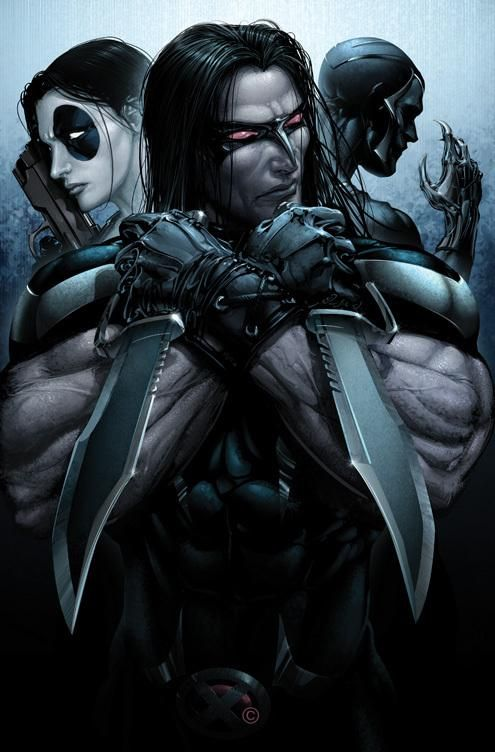 The current Reevaluation units are: Aaron Cash, The Crow, Enchantress, Indigo-1, and Jocasta. Check out the C3G Power Rankings! A group of some of the most elite competitive players and the knowledgable decided to rank the C3G designs. It's a fantastic list, and could definitely help steer you towards the right designs to create your army around! It's C3G's Anniversary again, and that means 23 new designs for Wave 23! Take a trip around the world to see some worldly heroes and villains! Special thanks to Hogg, as usual, for providing the release pictures for this wave. For our first stop, we got to London to meet Mister Sinister, an evil mastermind and constant thorn in the side of the X-Men - his Genetic Manipulation can turn a game around in a single turn! Then we'll take a trip to the Great White North, where Aurora and Northstar use their Twin Light Blast to blow away the competition. It'll be tough to strong-arm Ursa Major, though, a super strong tracker with no trouble in the snow. You might want to bring along Fantomex, a master of Misdirection, always ready for a fight. And maybe Yukio, as well, an erstwhile ally who's always up for a Mutant Team-Up. It's no secret that the Outlaw faction has been brewing for a long time; now they finally make their appearance known! Call Catman if you want an Outlaw Motivator, and Scandal Savage makes for the perfect Outlaw Field Commander - it might not hurt to bring both of them along! The rest of the team is no weaker - Knockout only hits harder when she's Smitten, while Parademon's Mother Box Bandolier can take an entire army down to size. If you're heading to the beach, King Shark will be chomping at the bit to go on a Feeding Frenzy. But Black Alice might be the most powerful of them all... who knows what Borrowed Powers she'll be using! When Titans clash, the whole world trembles. That's just how Pluto likes it - as Lord of Hades, he reaps what chaos sows. Karnilla does the same, but rather than traffic in lost souls, she seeks the love of a single warrior to claim as her own. If you plan on wreaking havoc, Phobos, the God of Fear, will have no trouble sending your enemies scattering. To take advantage, you might want Seth, who will place The Mark of Death, making sure at least one warrior meets their doom. Of course, if Matter Manipulation is more your style, say hello to Sersi! In the Land of the Rising Sun, warriors do battle for love and honor. However, the devout sohei Shi, a master of Naginatajutsu, fights only for revenge. She'll face mighty enemies, such as Tomoe Gozen, who's entrancing Fan Dance will mystify... not to mention maim! Of course, her ultimate target is Masahiro Arashi, the Yakuza Oyabun who killed her family - a man whose Ruthless Command leaves a bloody wake. Finally, take a stop in Egypt, where N'Kantu, the Living Mummy, makes his home; with his Prehensile Bandages, though, you might not get a chance to leave! If you can escape, swing by Transylvania, where you might catch a glimpse of the famous Werewolf, whose Feral Hunting style is sure to impress. 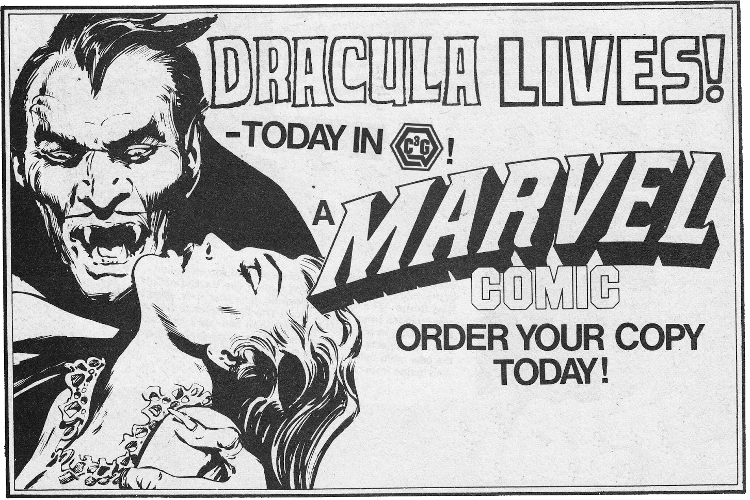 And, if you're lucky, you can meet the Brides of Dracula. I'd be careful, though... when you hear the Blood Calling, you never know who will answer! A big thanks to the C3G, and Heroscapers, community - our photographers, artists, designers, playtesters, and fans. We couldn't do it without you! Now pack your bags - trip courtesy of C3G! [img]DISCLAIMER: This is not official. This is a fan made custom project. TONIGHT the C3G team brings you THREE(!) NEW(!!) HORROR-THEMED(!!!) characters! SHOCK as you enter Dracula's domain! This Event Hero is the master of all undead! None can escape his thrall! FRIGHT as the dead walk once more! Zombie serves without question those who carry his Amulet of Damballah! GASP as the dead speak! 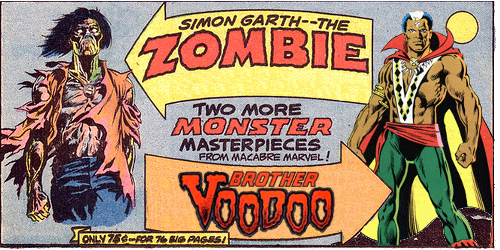 Brother Voodoo mystifies your opponents and communes with spirits from beyond! Also available (FOR ONE WEEK ONLY): special limited edition Dracula variant cards! GET THEM HERE! Johnny and Lord Pyre have put together a great story. Here's Part 1, Part 2, Part 3, Part 4, Part 5, Part 6, Part 7, Part 8, Part 9, Part 10, Part 11, Part 12, Part 13, Part 14, Part 15, and Part 16! And now there is a Part 17!!! Also, check out this amazing music feature by our very own Lord Pyre. Assimilation is dedicated to C3G's 3 years of growth and success. C3G Event #2 - Crisis in the Multiverse - sign-up today. Secret Wars 2013 is complete! Help out in the creation of C3G SuperHeroScape Online! In order to let you all behind the scenes a bit, we asked Griffin, who was the lead designer for about 2/3 of the Adventures of Superman wave, to agree to an interview. Read the interview here. The Heroes have cooked up an awesome idea to give everyone a birthday surprise! Please post your birthday (or PM me if you want to keep it private) and you will get a special card for your birthday! Last edited by Ronin; April 23rd, 2019 at 01:01 AM. Keep up the good work, Promo Director! You might want to fix that Bugle font, though. Okay, a few things still to tighten up... I´ve searched through the FAQs, but can´t find what I need. Will someone PLEASE tell me how to insert spoilers, and how to clean up the BGG links, so the only thing seen on the page is the name/link to click, not the long lines of computer text... ? But...should that be a "No Prize" instead of "No Price" ? Digital media that I can believe in! !